It’s been a tough couple of seasons for the cruise ship industry. First, the Costa Concordia, a 3,800-passenger ship operated by a unit of Carnival Corp., ran aground off the coast of Italy in January 2012. Thirty-two people were killed, while images of the abandoned ship, lying incongruously on its side. beside a picturesque beach town, flashed around the world. Will these incidents dent the cruise businesses’ prospects in the long term? Not likely, say experts like S&P Capital IQ stock analyst William Mack. This is, after all, the industry that bounced back from the sinking of the Titanic. 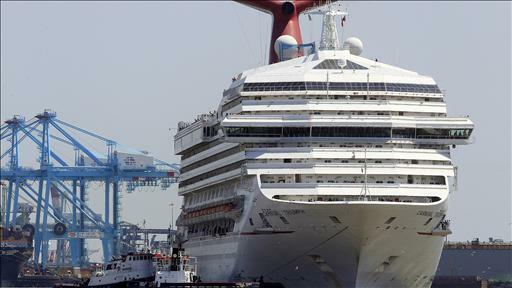 While Mack has cut his 2013 profit forecast for Carnival, he still rates the stock a strong buy. “My broad assumption is that this is a one-year impact,” he says. Cruise ships remain a hugely popular getaway option. More than 16 million people sailed in 2011, the latest date for which statistics are available, a figure that has roughly doubled during the past decade, according to the Cruise Lines International Association, a trade group. The association’s members count more than 200 ships and 325,000 beds, both of which are expected to grow steadily through 2015. Also see: 10 oddest cruise ship innovations.